1. Reduced Pre-Heat Time: Start working sooner to get the job done faster. 2. Liquid Phase Resistance: Work upside down without losing power. 3. 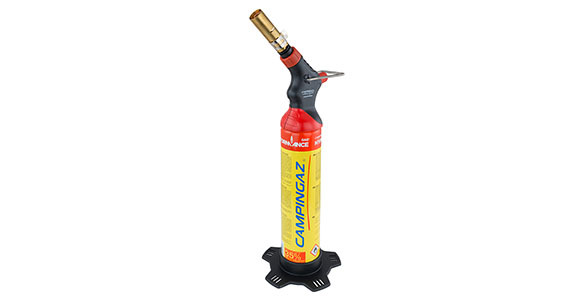 Increased Power: Used in combination with the Campingaz® Hyperformance Gas®, the higher wattage achieved and the increased flow rate gives the blowtorch ultimate power to accomplish jobs faster.